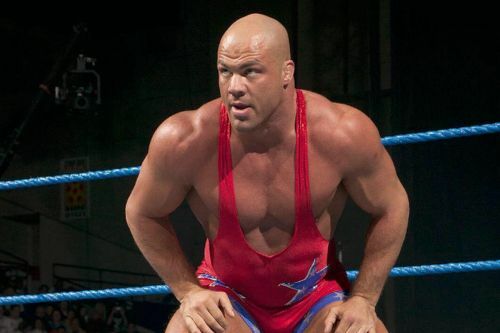 On RAW, Kurt Angle finally made it official when he announced that his match at WrestleMania 35 would be the last of his illustrious career that started way back in the late 90's. Unfortunately, Kurt didn't announce his opponent for the big event in New York, and with so many names out there not having confirmed matches for the show in April, we've decided to come up with a list of our own. From top veterans to rising stars, there are plenty of names compatible with The Olympic Gold Medalist, but we've narrowed that list down to 4. Sure, the WWE has been going in some very odd directions lately, making this prediction quite a hard one, but without further ado, here are the best 4 options for Kurt's retirement bout at WrestleMania 35. 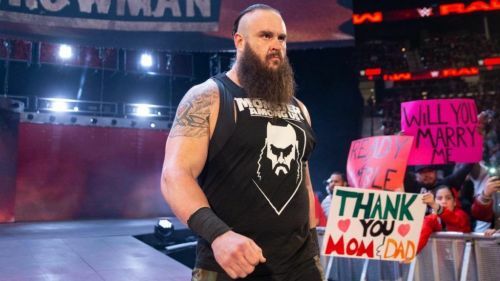 Six months ago, it would have been insane to imagine Braun Strowman not having a top match at WrestleMania, but poor booking and rumours of his laziness backstage have seemingly cost him that. He has no direction at this point as we head into the biggest show of the year, but the WWE can still salvage him as a top star by converting him back to a heel and retiring a legend like Kurt Angle. The Monster Among Men is still one of WWE's top and most marketable stars, so having him take on The Olympic Gold Medalist on WWE's grandest stage makes a lot of sense, but at this point, it's certainly a long-shot. Strowman is one of the most dominant stars in WWE history, but the WWE have been hesitant to give him a run at the top, so a heel turn and retiring Kurt would go a long way to making him the companies top bad guy, and at this point, it's a risk they should consider taking.